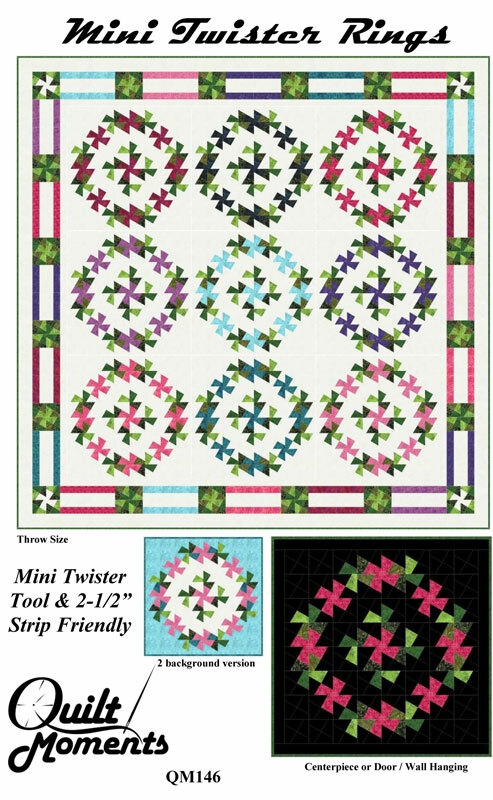 Use strips and squares with the Mini Twister tool by Twister Sisters Designs to create a centerpiece or door/wall hanging. 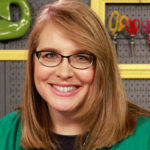 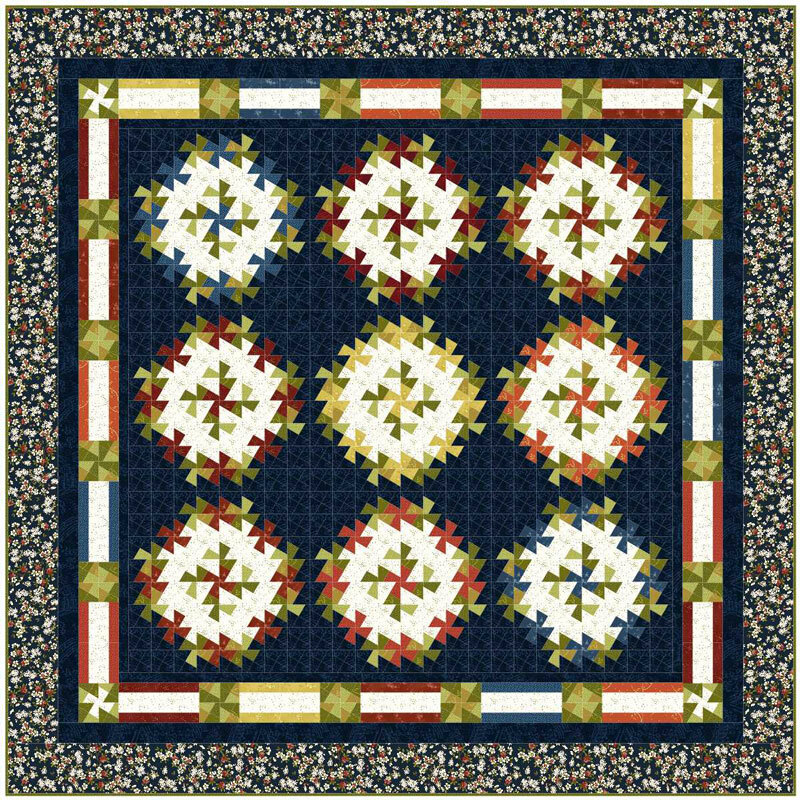 Use pre-cut 2-1/2” strips for the multi-color pinwheels or cut strips from FQs or yardage. 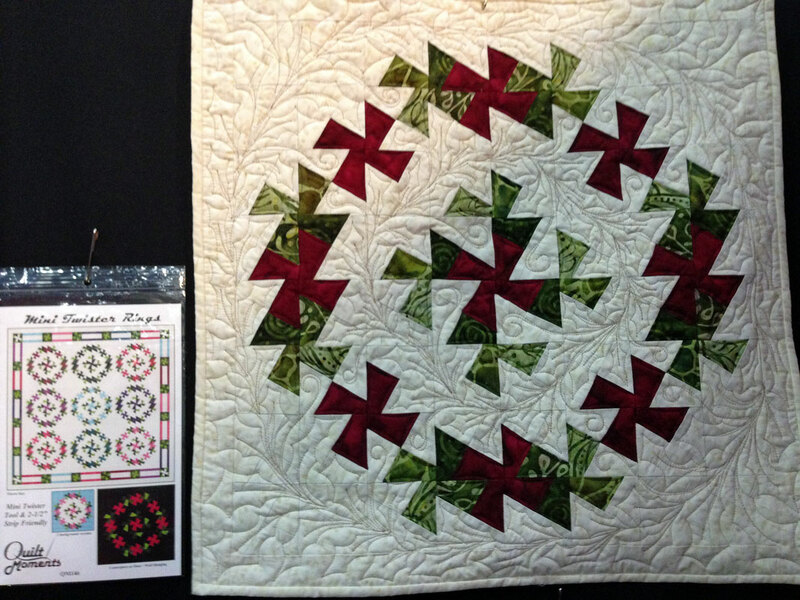 Put several rings together to create runners or larger quilts. 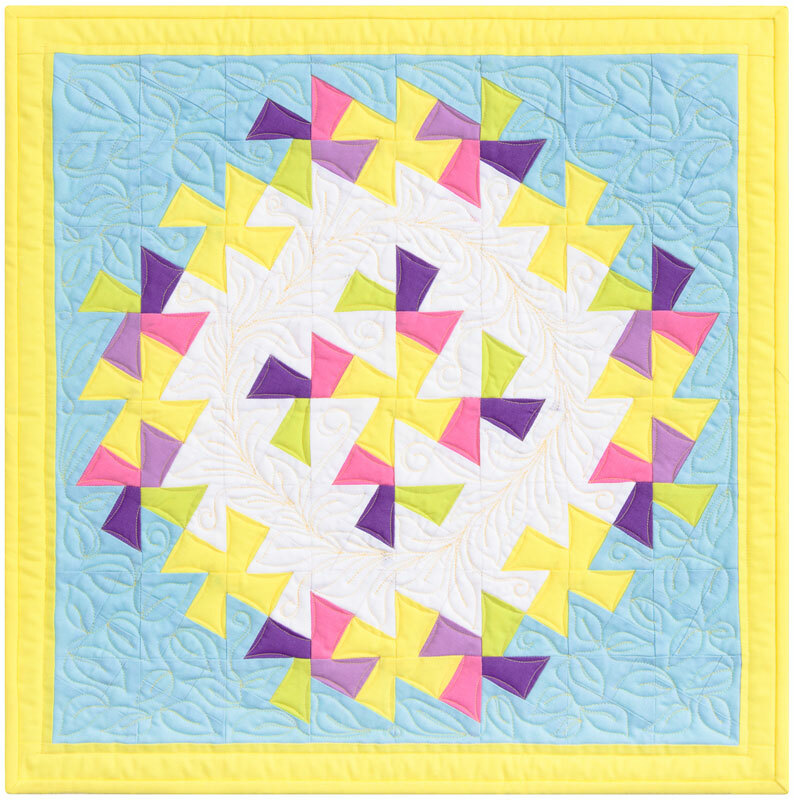 Leftover twister units are used to make the fun pieced quilt border. 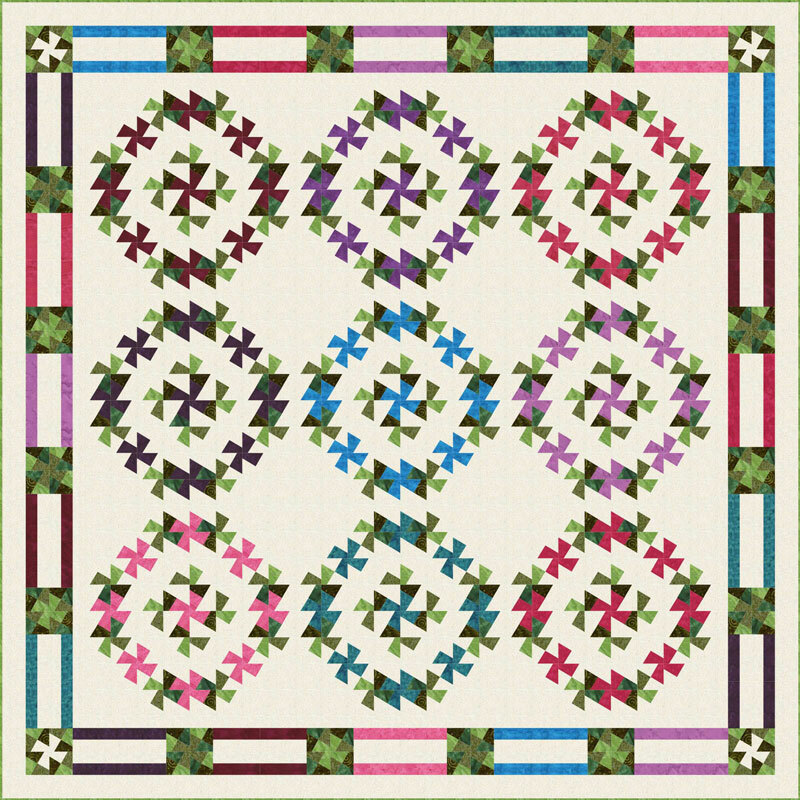 Have fun choosing your own palette! 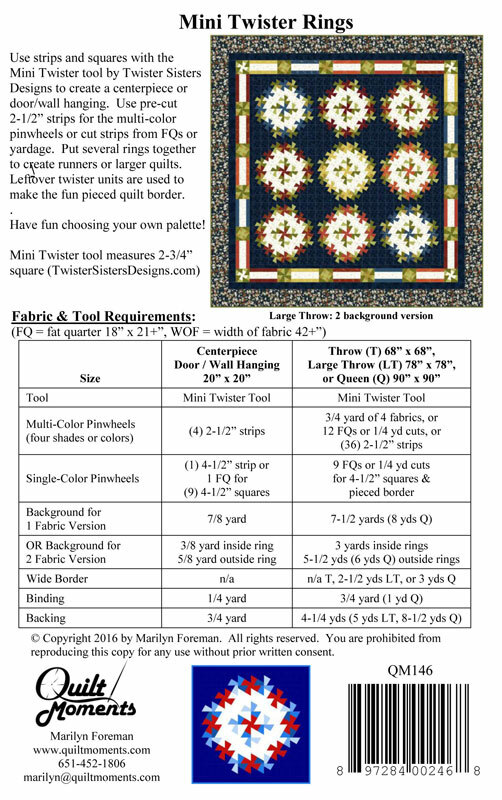 Mini Twister tool by Twister Sisters measures 2-3/4″ square.